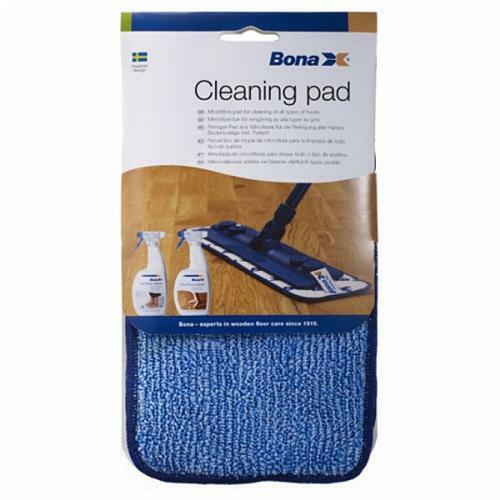 Bona Wood Floor Spray Mop is a cleaning system comprising a mop with a spray unit built into the handle, a cleaning pad and a ready to use detergent designed for finished timber flooring in an 850 ml cartridge. 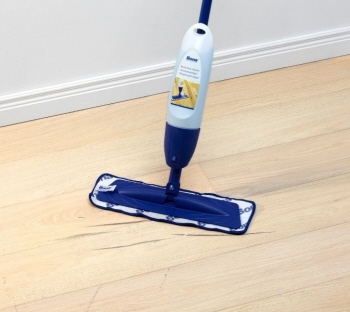 This timber floor spray mop helps keep the floor clean and to help prevent premature wear! 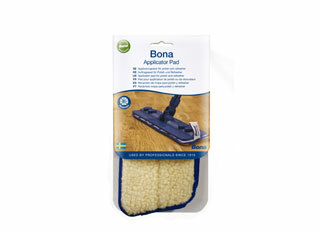 Bona Spray Mop is ergonomic and very simple to use. 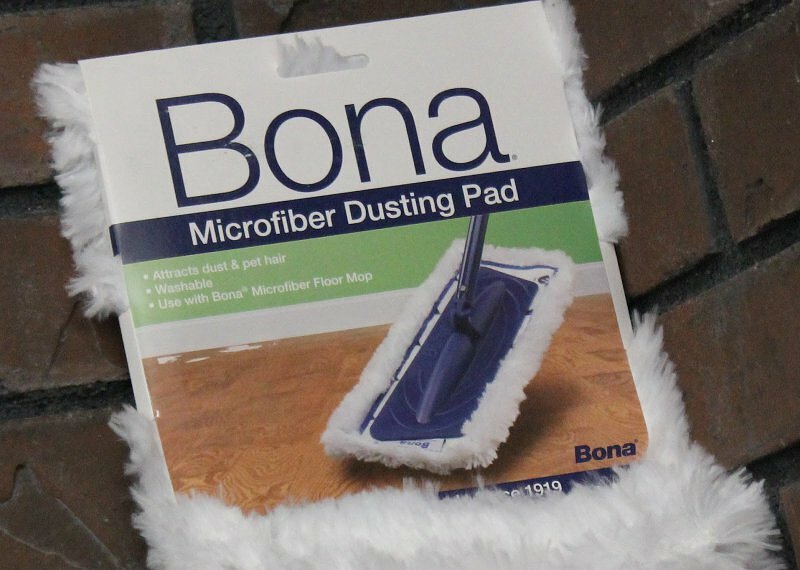 It is quick to assemble and refill with the specially developed Bona floor cleaner cartridge. You don't have to fill a bucket -just spray and clean! This Spray Mop is specially designed for finished wooden floors. It has a rotating head for ultimate reach in difficult areas. Its microfibre cleaning pad is washable. 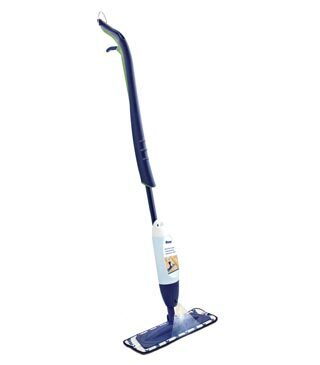 Complete mop includes spray mop, wood floor cartridge and microfibre cleaning pad. You can also buy replacement pads, and 2.5 Litre Wood Floor Cleaner Refill. 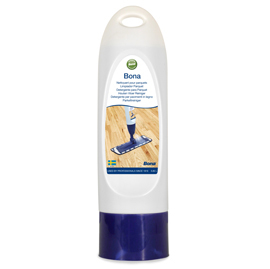 850ml Refillable Cartridge for use with Bona Timber Floor Spray Mop. This ready to use spray mop refill is specifically designed for effective cleaning of wooden floors. It is convenient, pH neutral, spray-on cleaner which is also suitable for laminate floors. 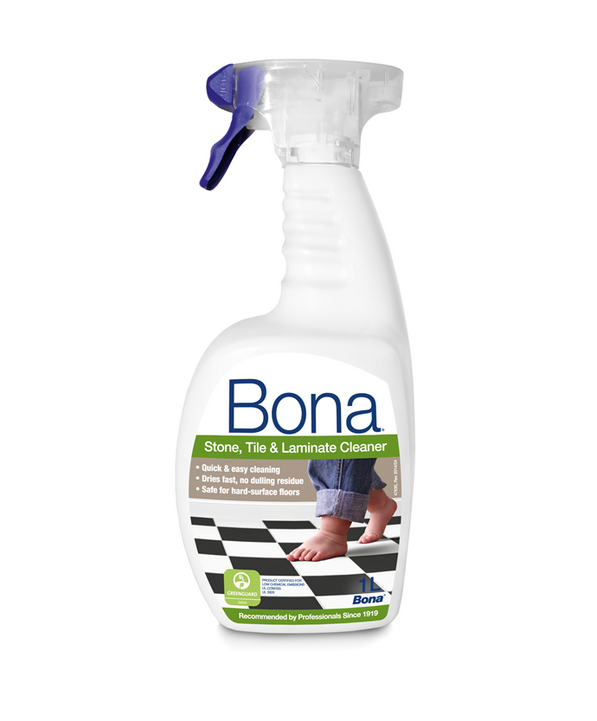 Bona Wood Floor Cleaner can be used with Bona Wood Refresher and Bona Polishes. It has a special ‘non-streaking’ formulation leaves no build-up of sticky residue whilst effectively cleaning the toughest of dirt and grime. It is available in 1 Litre spray or 2.5L Litre refill. 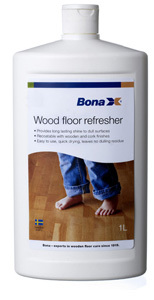 Bona hard Wood Floor Refresher is a ready-to-use waterborne polyurethane based product designed for the on-going maintenance of finished timber floors. 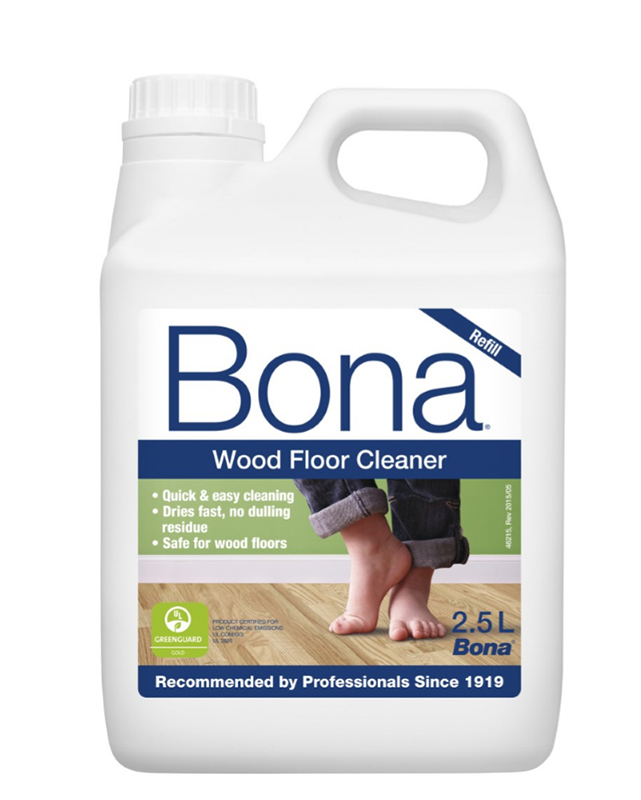 When the floor starts to appear dull in walkways simply clean the surface well using Bona Wood Floor Cleaner, allow the surface to dry and simply apply 1 or 2 thin applications across the whole floor to bring it back to its original appearance. 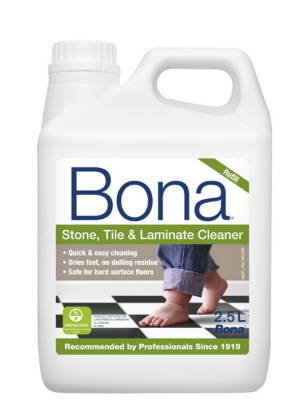 Bona Stone, Tile and Laminate Floor Cleaner is safe for floors, families and environment. It works terrific on wood laminate floors leaving no dull residue and is streak free. This ready to use pH-neutral detergent specifically formulated for cleaning vinyl, stone, laminate and tile floors. 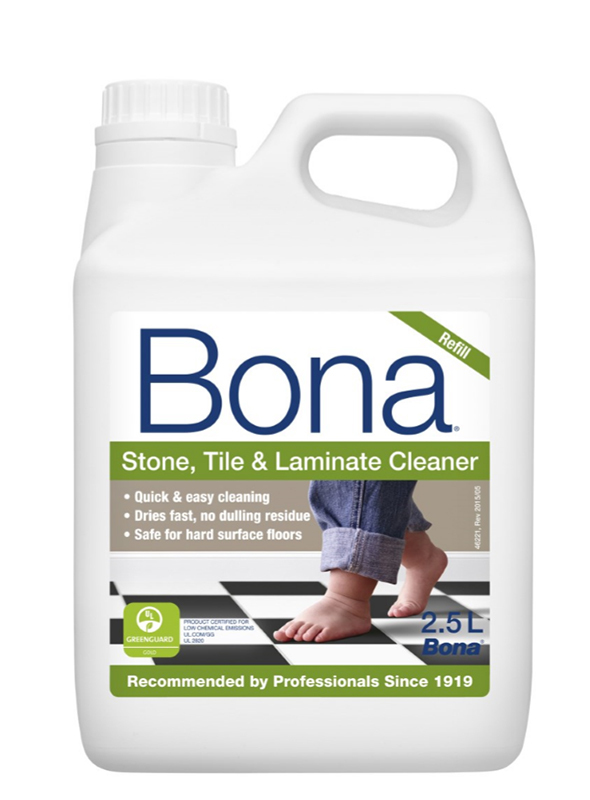 Bona Stone, Tile Laminate Floor Cleaner is now available in a convenient 2.5L size. Our 4L is selling out fast and is now replaced with easy to carry 2.5 L size. It is designed for the on-going maintenance of sealed hard surface floors such as ceramic tiles, laminates, linoleum, vinyl, marble and etc.